When Dag Hammarskjöld took over the post as Secretary-General of the United Nations, he was greeted with the words: “Welcome ... to the most impossible job on this Earth.” He was a compromise candidate who was assumed to be a weak and docile administrator. But, to everybody’s surprise, he stood up against the superpowers and with unshakeable integrity he defended the interests of small nations. His leadership and principled action shaped the modern UN. Dag Hammarskjöld made the “impossible job” possible. The historian and biographer Henrik Berggren tells the amazing story of a life that was characterized by duty and humanism – but also by a great loneliness. 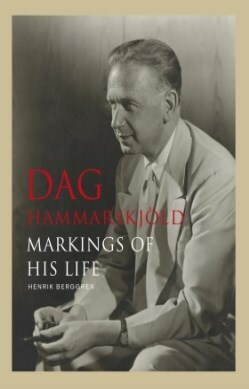 In this captivating and concise biography, Dag Hammarskjöld the man and the diplomat emerges in a new and vivid way. It is illustrated with more than a hundred unique images, many of them being published for the first time.